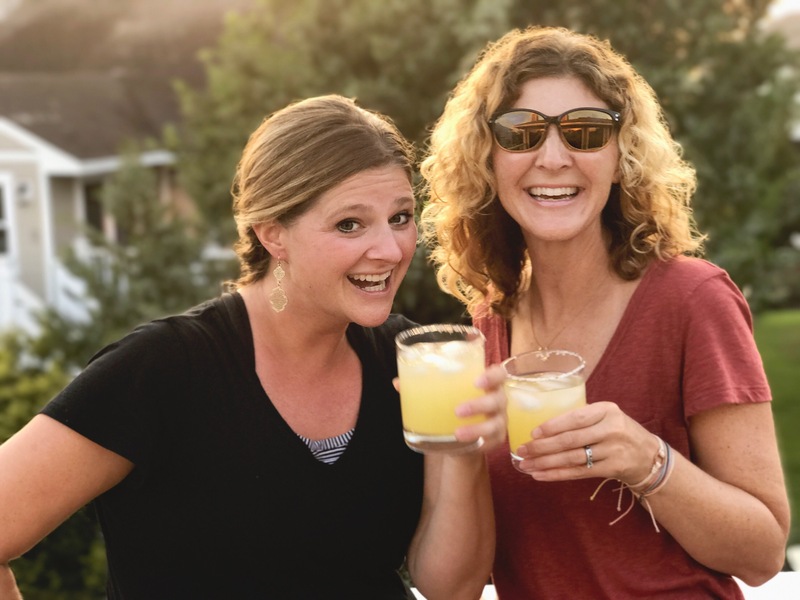 We are sharing our not-so-guilty summer skinny-ish margaritas … or… any time of the year skinny-ish margaritas 🙂 We tested out a bunch of variations of this recipe and have found our favorite. – Cocktail shaker – you don’t need one, but it looks a lot cooler than using a swizzle stick to mix the drinks. – Citrus juicer – we used this one and loved it KitchenAid No-Mess No-Stress Citrus Squeezer. 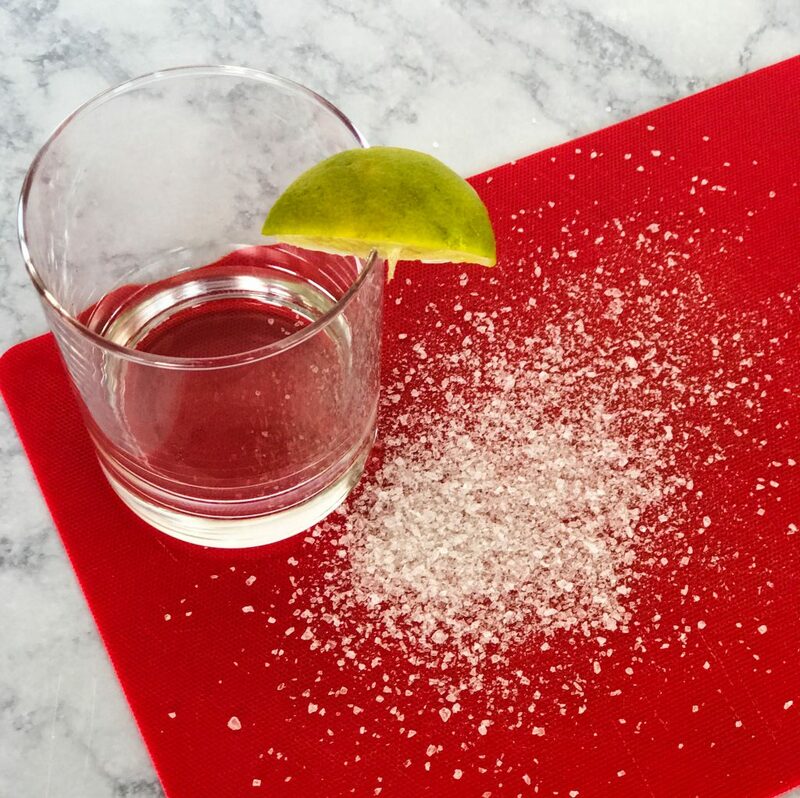 Sprinkle sea salt on a small flat plate or cutting board. 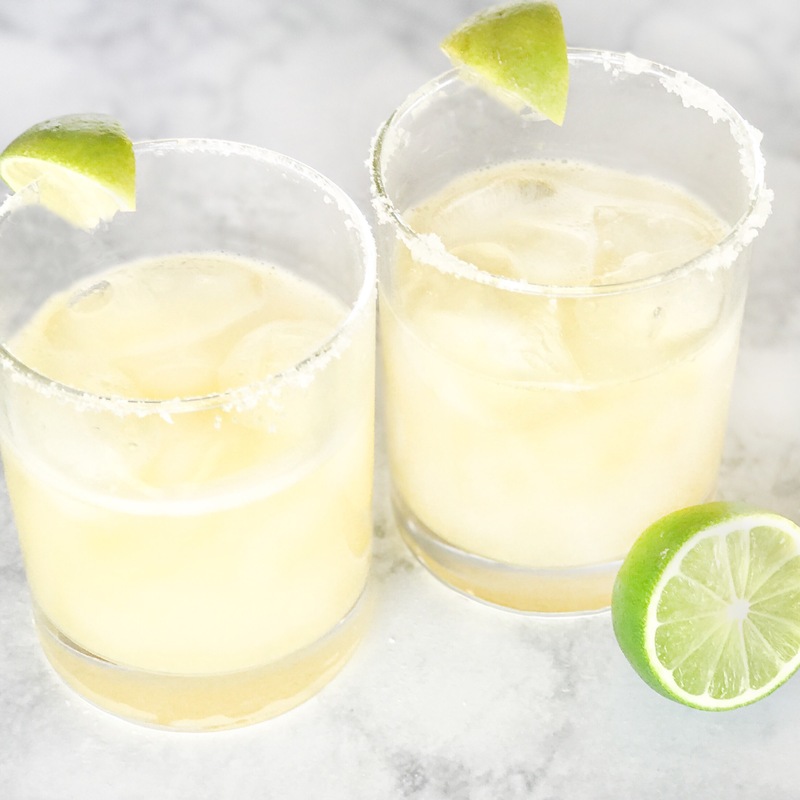 Rub the rim of the glasses with a slice of lime then press the glass into the salt on the plate until it’s coated with salt. Set glasses aside. Roll your limes on a cutting board with your palm. 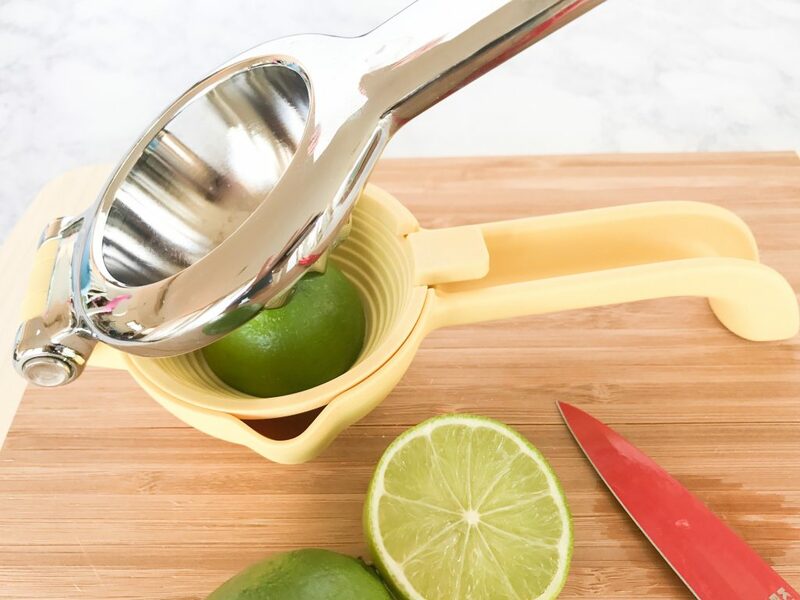 This helps maximize the amount of juice you extract from each lime. 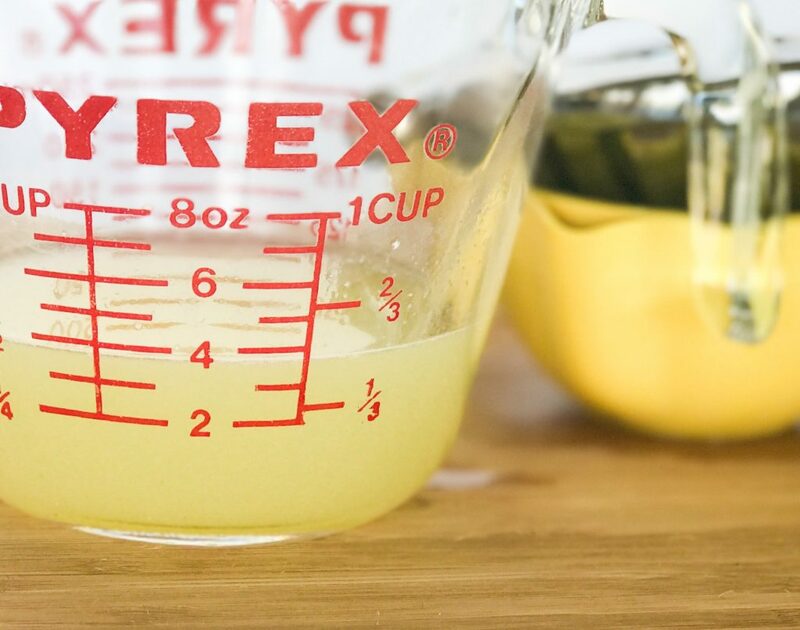 Squeeze the limes and add the juice into a measuring cup until you have 4 oz. 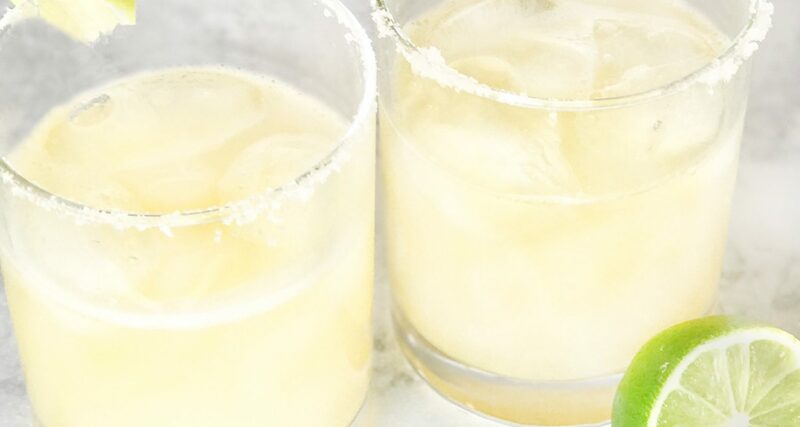 Add the lime juice to your cocktail shaker. 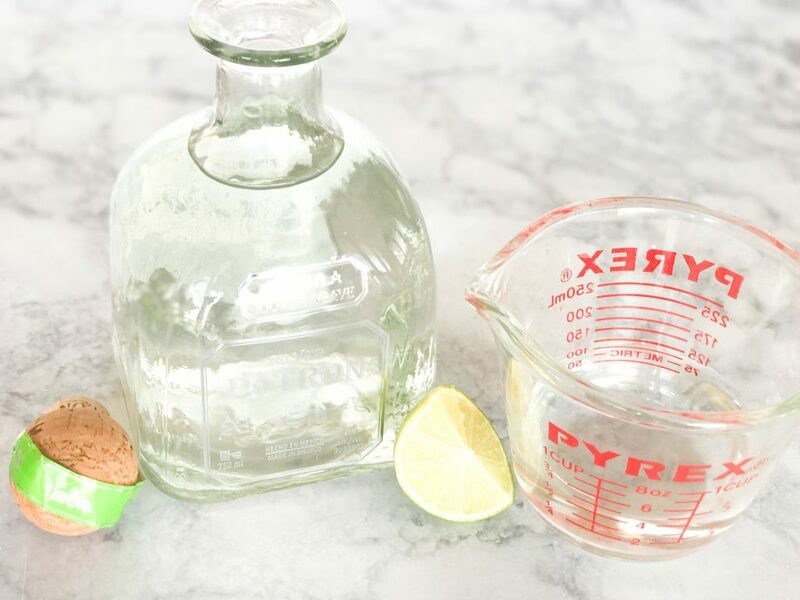 Pop open that Patron, or your tequila of choice, and measure out 4 oz, then add to your cocktail shaker. Grab 3 oz of ice cold water and add it to the mix. Measure out 1 oz of orange juice and add it to the cocktail shaker. 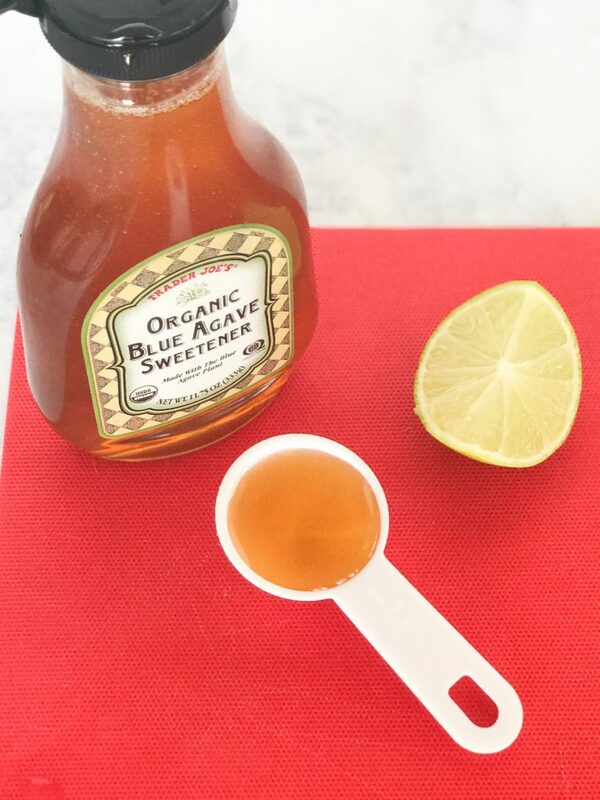 Add 2 Tbsp of light agave syrup to your cocktail shaker. 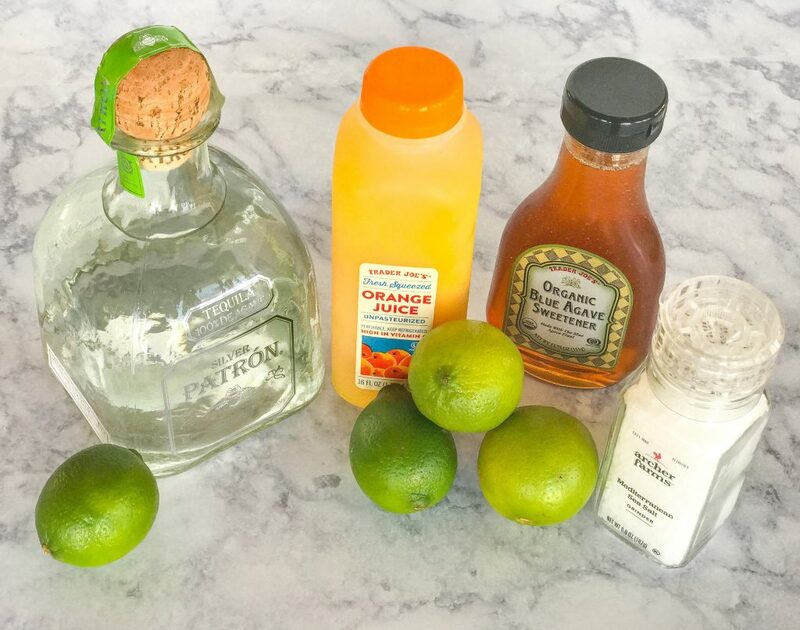 Throw in a few ice cubes to get this party started. Shake in the cocktail shaker for about 5 seconds then strain the mix out equally into the two glasses.